We hear a lot about cloud computing being the next big thing. WhatTheyThink’s Jennifer Matt explores how this new platform is impacting printing, and how three major players are planning to use it to change how you get your printing done. Recent announcements by Google, HP, and FedEx Office reveal key strategic plans each has to leverage and potentially dominate print using the next major computing platform – cloud computing. Cloud computing is internet-based computing – the internet is the platform that allows resources to be shared at the component level (bandwidth, processing power, storage), in very small increments, much like the electricity grid. Pay attention, print service providers! This is an evolution that can and will have a direct impact on your business. 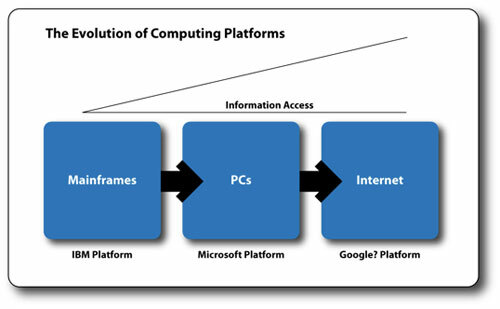 The concept of "platform" has been the Holy Grail of computing, dating back to the days when IBM mainframe computers dominated the world of computing. Examining the last two major computing platforms and the companies that controlled them, gives a clear picture of what's at stake here. What's driving platform evolution? Clearly, access to information is critical. As the diagram above suggests, with each major transition we have had greater access to information. Resource optimization is another driver, in particular with cloud computing. As I mentioned in my recent article about the digital economy, cloud computing is the ultimate global pooling of resources - rent only what you need (bandwidth, storage, processing power) in per minute increments. The US government estimates the average server utilization in its 1,100 data centers is 7%, an unbelievable amount of waste in several critical resource pools, the most obvious one being power. As computing platforms evolve and ultimately transition to the next "big thing," print must follow the content and the user, both of which are currently on the move, to remain viable. Till now, printing was a localized event because printing devices were chained to personal computers or local area networks. But today, users are on the move. The laptop, mobile phone, and mobile devices like the iPad continue to increase our seemingly endless desire to have full connectivity and functionality while we're mobile. In addition, as smart phones and mobile devices evolve, their print requirements exceed what can be handled properly from a standard Internet browser. Content is moving from the desktop to the cloud. Google Apps, a software suite that competes with Microsoft Office, functions in the cloud – all the content created in Google Apps remains in the cloud. An entire suite of startups are building businesses whose primary objective is to consolidate content in the cloud. For example, Scribd (>50 million unique visits per month) is attempting to redefine self-publishing in the cloud. SlideShare (>25 million unique visits per month) is a company that has done the same with presentations in the cloud; Evernote consolidates all your notes in the cloud. As content moves to the cloud, the ability to print that content requires a more elegant solution than simply downloading, opening in a desktop application, and printing (basically forcing you to convert back to the legacy, tethered desktop or network printing model). In April 2010, Google announced it was working on Google Cloud Print, a component of its work on the Chrome Operating System (OS). If you want a drop-dead simple explanation of where Google is taking us with Chrome OS, watch this video: What is Chrome OS? It should not surprise us that Google is working very hard to inscribe its name on the platform evolution graphic; enabling cloud-based printing will be part of that platform solution regardless of whose name gets top billing. In June 2010 HP introduced cloud-aware printers – HP printers that can talk to the "Google Cloud" without requiring a PC. This means that people will be able to access Google Docs, Photos, and Calendar directly from their printers, according to the HP Press Release. This is one of a series of announcements around enabling cloud printing that directly impacts all smart phone users, retail copy and print providers, and the in-plant market. In this model, each printer has a unique email address. You simply email the document(s) you want to print to the printer, wherever it is, from wherever you are. It could be from one room of your house to another, or from halfway around the globe. Some models have an iPhone-like touch screen user interface. The sense I got from my research is that this is only the beginning of HP's move to aggressively enable print for the ever-growing mobile population and the ever-expanding volume of content being consolidated in the cloud. I had an opportunity to speak with both Google and HP about their recent announcements. These interviews shed further light on both how cloud enabled printing will work and who is making moves to control this critical next computing platform. The first interview was with Phil McCoog, HP IPG Mobile and Web Services Technology Strategist. Jennifer Matt – WTT: What are the main characteristics of HP's ePrint initiative? 1. Ability to request a print by simply sending an e-mail to a printer; every cloud-aware HP printer will have a unique e-mail address which makes printing as easy and ubiquitous as sending e-mail. 2. Connection to a host of web services (e.g. HP's MarketSplash and Google Docs) to print directly to our printers. 3. Applications on the printer – a host of applications which reside on the printer and provide direct access to applications on the web (e.g. Google Docs) to do application-specific things and then print directly to the printer (no computer necessary). Several initial partners were included in the announcement (e.g. Crayola and KoL.com for coloring pages). Phil McCoog – HP: Printing via e-mail is our simplest and most ubiquitous option. We also have ePrintCenter that enables you to configure a certain number of default settings for your device. We intend to add even more settings through web services. We also have an API-type interface available. So for instance, we showed a Google Docs demonstration that offers the ability to select advanced settings within Google Docs. This gives Google Docs users a full printer-driver-like interface, with settings that allow users to take full advantage of the capabilities of our cloud-aware printers. Jennifer Matt – WTT: Once a print request is sent to an HP cloud-aware printer, is there any way to access the file or move it to another printer? Phil McCoog – HP: No. Think of it as a print queue for that specific printer. Jennifer Matt – WTT: HP will be enabling applications that can reside on the printers. Does HP intend to manage its application partners like Apple (moderated) or like Google Droid (free for all)? Phil McCoog – HP: We haven't announced exactly how we're going to manage it. 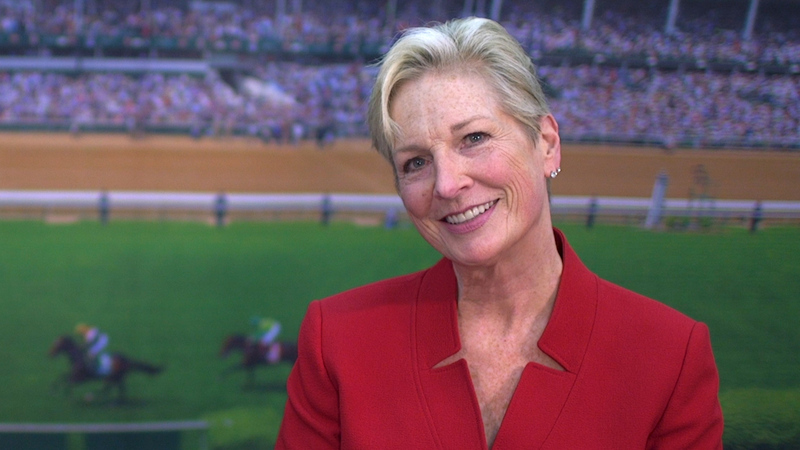 Jennifer Matt – WTT: What is HP's ePrint Enterprise? Phil McCoog – HP: Our specific announcement titled HP Introduces Powerful Enterprise Tools to Enhance Managed Print Services Delivery, Enable Mobile Printing and Improve Customer Communication explains that this managed print services offering allows you to print from your Blackberry to any cloud-aware printer. HP ePrint Enterprise uses the ePrint technology, but deployed in a different way – it works with legacy printers, using a server that allows you to connect with all printers. Jennifer Matt – WTT: The announcement mentioned a network of public printers; can you explain? Phil McCoog – HP: HP's print network partner is PrinterOn®, which will utilize HP ePrint technology in more than 1,300 Hilton Hotels. In addition, FedEx Office will be implementing the ePrint technology across its network of more than 1,800 locations. 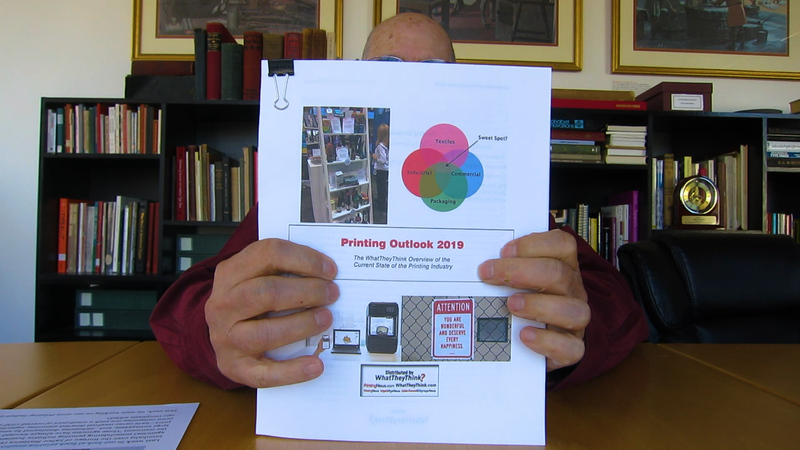 Jennifer Matt – WTT: What is the Virtual Print Center? Phil McCoog – HP: The virtual print center initiative isn't directly related to the ePrint technology, but all of the initiatives are related in that they are leveraging the ever-growing amount of web content, the increase in employee mobility, and the growth of cloud computing. HP's virtual print center is powered by Mimeo and is intended to optimize enterprise print by better addressing the 65% of print spend that is outside corporate print centers today. Jennifer Matt – WTT: During the desktop printing era, HP's contribution to standards was pivotal in the form of the PCL language; is ePCL positioned the same way for cloud computing? Phil McCoog – HP: Yes, absolutely. With PCL, we worked with the industry to encourage adoption, and we were able to get applications to write to the PCL standard. This created a full-bodied ecosystem for desktop printing. That's our intention with ePCL for cloud printing. Jennifer Matt – WTT: What is the nature of the Google relationship? Phil McCoog – HP: Google is pushing an Internet operating system – Chrome OS. A pure cloud-based OS requires a printing system. They were working on something called Google Cloud Print and we're creating cloud-aware printers, so the marriage of those together creates cloud-to-cloud communication. The result is that all Google cloud applications can easily print to all HP cloud-aware printers. Jennifer Matt – WTT: Does HP's ePrint Enterprise rely on the Google cloud? Phil McCoog – HP: No, this is HP's own cloud technology. Jennifer Matt – WTT: Please tell me that one of the first apps will be the ability to print your boarding pass via the touch screen interface on the printer? 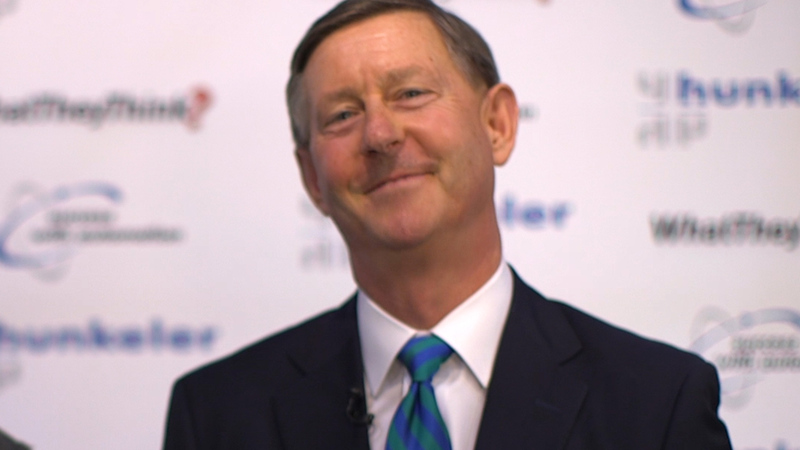 Phil McCoog – HP: Its one of the most popular requests; we want to make sure we get it right. Jennifer Matt – WTT: I see a distinct pattern in these announcements, and it's always tempting to guess what's next. Want to share anything more with us? 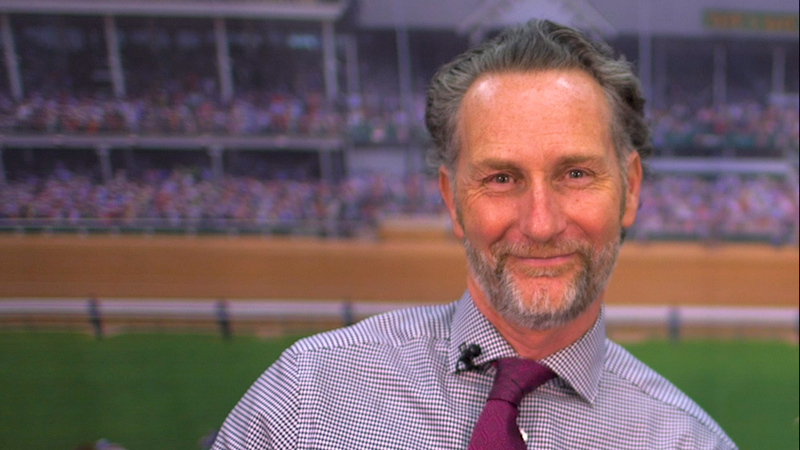 Phil McCoog – HP: You've connected a lot of different pieces together. This is just the beginning. We first started connecting printers to mainframes, and then the world exploded on us, right? And things you never thought possible became a reality. That's what we're talking about here. The initial web enablement is just the fundamental plumbing that's mimicking what we can do from the PC today. None of us knows the limits or the direction it's ultimately going to take. We just know we have a technology platform ready to take advantage of this market. 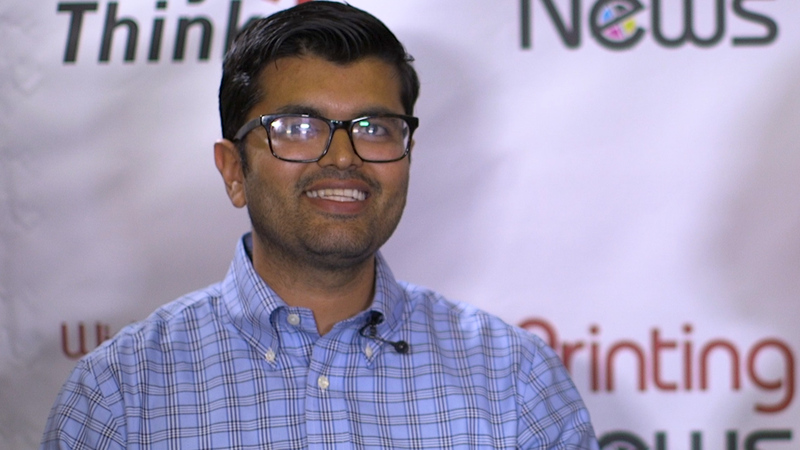 The next interview was with Mike Jazayeri, Product Manager for Google Cloud Print. Jennifer Matt – WTT: Google isn't in the business of printing; why are you investing resources in the Google Cloud Print initiative? 1. The shift toward cloud computing and our web application development platform. We need to support a great printing experience. For basic content, the browser is OK, but richer data sets require more than the browser is capable of. We want to give web applications direct access to the printers. 2. The proliferation of mobile devices; users expect to be able to print. The architecture of desktop printing cannot be ported to mobile devices effectively. Google believes printing from the cloud is the answer, but it needs to be simple. Jennifer Matt – WTT: How does Google Cloud Print work? Mike Jazayeri – Google: Printers are registered with cloud provisioning service. The applications that want to print to these printers call a single set of APIs. The intention is to enable "any application (web, desktop, or mobile) on any device to print to any printer." Jennifer Matt – WTT: Is this the end of the print driver? Jennifer Matt – WTT: Does Google intend to monetize its efforts on Google Cloud Print? Mike Jazayeri – Google: There is no direct plan for monetizing the Google Cloud Print initiative. Google believes the ability to print from the cloud is required for cloud computing to continue to advance. Jennifer Matt – WTT: When will Google Cloud Print be available? Mike Jazayeri – Google: In a few months as part of the release of Google's Chromium Operating System (OS). Jennifer Matt – WTT: What is Google's relationship with HP? Mike Jazayeri – Google: HP is a pioneer in this space, planning to release "cloud-aware" printers this Fall. The transitions discussed in this article are well underway. How might this transition, driven by mobile users and content consolidation, impact the commercial print world? I would build on what Phil from HP said; this is merely building the plumbing and replicating the functionality we had from the desktop to the cloud. What happens after that is anybody's guess, so here is mine. Google has made the case that the office suite can be a whole lot simpler and can be deployed from the cloud. Its Google Apps suite is giving Microsoft Office a real run for the money. There is no doubt the design applications (Adobe CS suite) will be next. In relatively short order, there will be complex designed content created and stored in the cloud. Watch any of the demonstrations of HTML5, and you can see that the tools are available for complex manipulation on the web. If you doubt that statement, here's proof from CloudCanvas. What does that mean for print providers? They need to be able to make printing brilliantly easy no matter where their customers are located or where their content is stored. Imagine cloud enabled RIPs or DFEs (digital front ends) with location-based features. In this model, users could search for the nearest available digital press on their way from the airport to an important meeting via their mobile devices. The advent of cloud computing might move some of this burden of innovation from web-to-print solutions to RIP manufacturers or some combination of both. As both cloud-based content and print services become ubiquitous, we will be pushed to continue to make print requests, ordering, and fulfillment as easy as possible in order to compete. Today, only 3% of print is even transacted online; we have a lot of work to do to fully embrace ecommerce because self-service order entry is the first step in enabling direct customer engagement online. Printing from the cloud will require web to print applications to "componentize" their product workflows, embed them where content is consolidating and expose them through mobile devices. Mimeo's partnership with Scribd is a good example of where this market is going. Is this an opportunity or a threat? The answer to that question is completely up to you and your entrepreneurial spirit.